It took me far too long to find time to catch up with one of the very best historical series in the current world of books. I’ve missed Valerius Verrens. Due to the time I left between this book and the last one it took me a few short chapters to get back into the swing of things, but once I was reaquainted with Verrens and Serpenrius and reminded of how things stood at the end of the previous volume, I was dragged along with the plot at breakneck speed as usual. 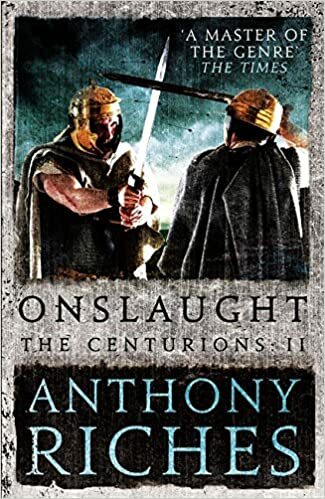 So, in short, this book is as good as any other in the Valerius series (which is to say a cut above most other series in the genre) and is actually probably the second best in the whole saga. It is unrelenting in pace, vivid, surprising, horrifying and even heart-warming in places. A testement to Jackson’s ability, it comes highly recommended. Go read it. Valerius Verrens is back, guys, and back with a bang! Those of you who are following the series will remember that book 4 (Sword of Rome) had ended in something of a cliffhanger, as though the book hadn’t ended but rather hit an advert break. Well ‘Enemy’ picks up seamlessly where ‘Sword’ left off, continuing to tell the story of the Year of the Four Emperors from Verrens’ point of view. In my review of book 4 I analogised the plot with a pinball machine, Verrens being twanged and shot back and forth betweem protagonists and antagonists almost against his will, necessity and honour requiring that he surrender himself to his fate. Well I would say that book 5 follows suit, but it wouldn’t be a fair analogy. For unlike the ordered, almost Machiavellian maoeuvering of the previous book, Enemy of Rome picks up the pace and feels more like Verrens is a stick caught in the current of a fast flowing river as it plummets over a fall. He keeps hitting rocks and getting caught in eddies, and all the time moves closer and closer to the precipice. That’s the feeling. Doug continues to tell the story of one of Rome’s most fateful years with style and vision. Indeed, I found in this book something of the same world-changing prose that created the infamous ‘temple scene’ of book 1 that remains one of my favourite pieces of writing of all time. You see Doug tackles something not many people can write convincingly: a night battle. Oh it’s easy enough to write the mechanical aspect of such an event. But few people can convey the panic, the confusion and the dread involved in it. Doug has done that in spades. The battle scenes in this are masterpieces, and none more so than the night fight. 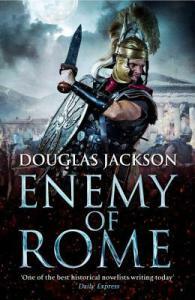 But enemy of Rome is more than a string of battle scenes. As I noted with my stick and current analogy, Verrens does not often get to play the same role for very long: prisoner, general, negotiator, spy, protector, besieger. Verrens plays his part in the wars that we knew were coming between Vitellius and the rising star of the era: Vespasian. But he will also play his part in the intrigues in Rome, where camps are polarising and the streets are unsafe, while the woman he loves is forced to play a careful game in the house of Vespasian’s brother, for that same house plays host to the vile Domitian. I think probably the only problem I ever have with these books is that my view of Domitian sits at odds with Doug’s. I see him as a somewhat withdrawn and antisocial character, but an able administrator and a man with sense who was handed the reins of a runaway empire and managed to bring it to a halt. But then every good novel needs antagonists, and Domitian certainly fits the bill with the Verrens series. He is certainly a loathesome character in these books. But praise due in a similar vein for changing my view of another historical figure. My picture of Aulus Vitellius has always been drawn from the views of his opponents and successors, and the picture Doug paints of him is a truly sympathetic one that tugs at the heartstrings. Bravo Doug for your Vitellius. The story rockets towards the conclusion, which is every bit as exciting and tense as a reader of Doug’s work has come to expect, all the time keeping the flavour and the plot alive, and even leaving time for the characters to grow as it progresses. And what of the end? Well obviously I won’t ruin things for you. No spoilers. But suffice it to say that unlike the cliffhanger of book 4, this book has something of a game-changing ending that might see book 6 when it arrives being something of a departure. I’m certainly looking forward to it, anyway. In short, then, this novel is a strong component in the continual growth of the Valerius Verrens series and really will not let you down. Full of tension and fury, tortured honour, impossible love and dreadful inevitability, it will keep you riveted til the very end. There’s only one way in which I could say Manda Scott’s work is predictable: every time I pick up a new Scott book, I can guarantee it will be new, refreshing, fascinating and totally different from anything that’s gone before. So what is this astounding style? Well the entire story (which takes place over a surprisingly short space of time) is told in the form of the affidavits or sworn statements of almost all the characters that had a role in it. Each chapter is told from the point of view of another character, in the first-person, and yet each picks up the tale where the previous teller left off, giving the reader a view of the entire story through the eyes of those that were instrumental in it. Once again, as in the previous book, the central protagonist of the series is not the teller – he is the subject of the story instead, and it is interesting to see him being assessed by each teller, often with different views of him. I cannot think of an adequate comparison for the method of storytelling, which in itself is a suggestion of how fresh the style is. Characterisation is, as always, perfect, especially given that a number of important characters or ones that will wind up dead cannot have a say in the tale and are only seen through the eyes of others. I’ll largely gloss over this because if you’ve read books 1-3 you’ll know what you’re in for, but I will state for the record that I’ve long had a hidden soft spot for the Emperor Domitian. He may have been damnatio and condemned by history, but we all know who writes the histories and the fact remains that Domitian had a very academic and studious mind, was very popular in a number of important circles, actually repaired Rome’s broken economy and probably only suffered history’s hammer because of his relationship with the senate. Well, Scott has painted a sympathetic and believable portrait of this strange and complex man and I found that one of the freshest and most memorable parts of the tale. In short, this is the conclusion of the Year of the Four Emperors, taking the story from Vespasian initial claim to the purple, through to the death of Vitellius and the way being opened for him. 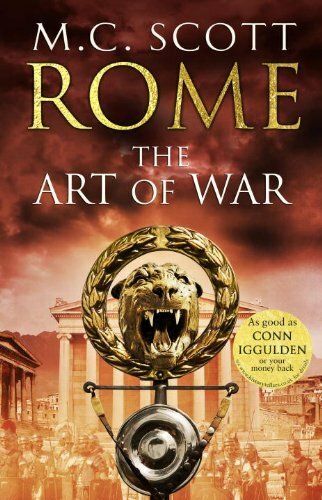 It takes the manoeuvring of troops and men (and mostly spies and agents) that has slipped into being a footnote of Vespasian’s story and opens it up in fascinating detail, telling the tale closely and with great care. Mixed in with the documented facts are the interwoven storylines of Scott’s spies, from the secret network of Seneca to that of Antonia, the network of street urchins that rule Rome’s rooftops, the agents of the emperor Vitellius and his cruel and dangerous brother, and so much more, forcing Pantera to call in all his favours and contacts built up over a lifetime in an attempt to put the right man on the throne for the good of the empire. Rome: The Art of War is a masterpiece and out on Thursday 28th. Read it and agree.